How Did Charlotte Mason Suggest Art be Taught? With most things Charlotte Mason (CM), once you get accustomed to her methods and they become a habit, you realize just how easy they are. Artist study is no exception. 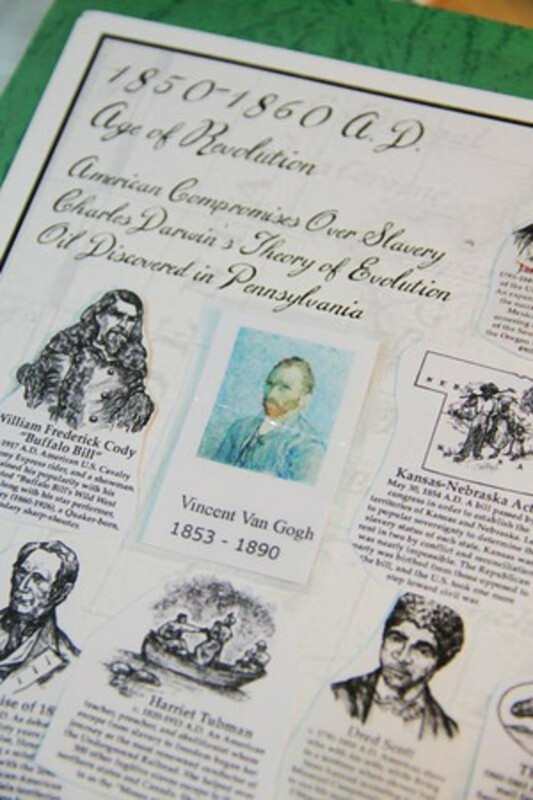 Charlotte Mason's way of studying artists is inexpensive, simple, and enjoyable. This page will lead you through the basics of artist study, step by step, and offer plenty of free resources along the way. 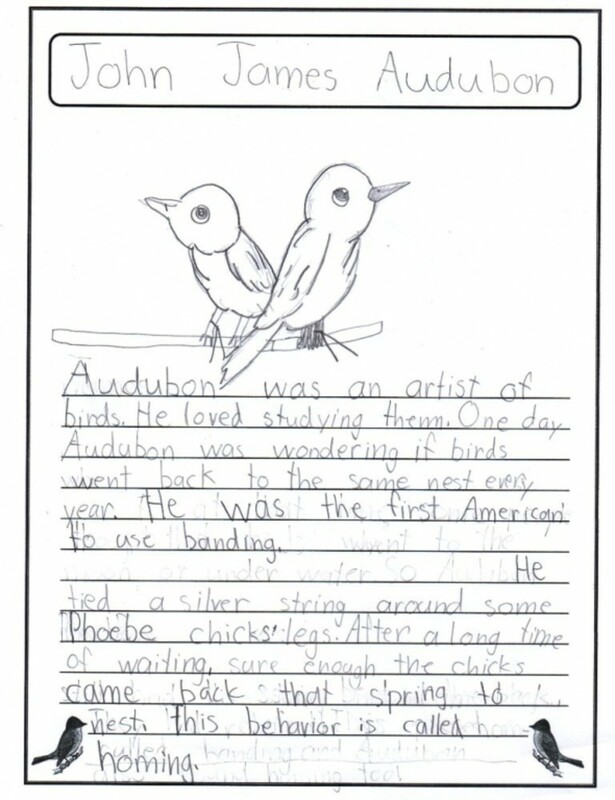 Miss Mason suggested that a different artist be studied consistently for an entire term -- up to 12 weeks. During that time, at least 6 different works of art by that same artist should be studied. That's only one work of art for every two weeks, so it's very doable. But of course, you can do one work each week or even one each day. The point is that you focus on one artist and immerse yourselves in his style, his methods, and his images until you know that artist. This artist study is mainly done through what CM called picture talks. During this lesson, your role as teacher is so easy. You just let the art speak to the child. You don't say much if anything. Just let the art speak to the child. 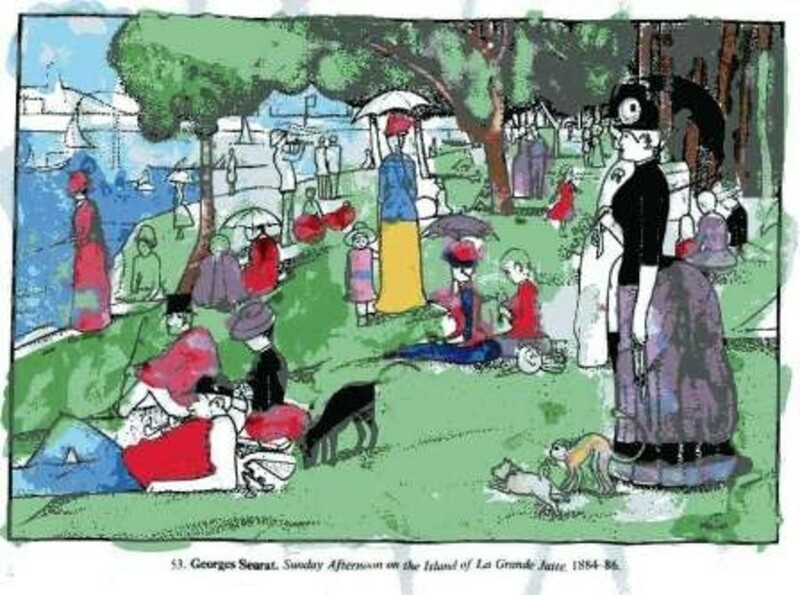 The little that you do say may include some background relevant to the painting, the artist, or the time period. But by no means do you need to give a lecture about the work. This post at Barefoot Voyage is very helpful in explaining picture talks. Then leave the art work available to be seen throughout the week until another piece of art is studied. 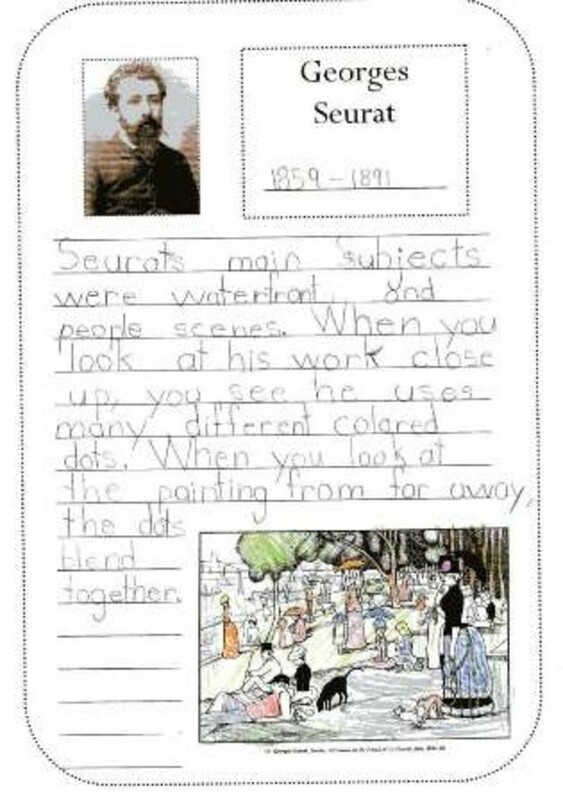 What did Miss Mason herself write about art study in the homeschool? Actually, there are two main exerpts from Home Education that deal with this subject. It will take you only a few moments to read these pages. 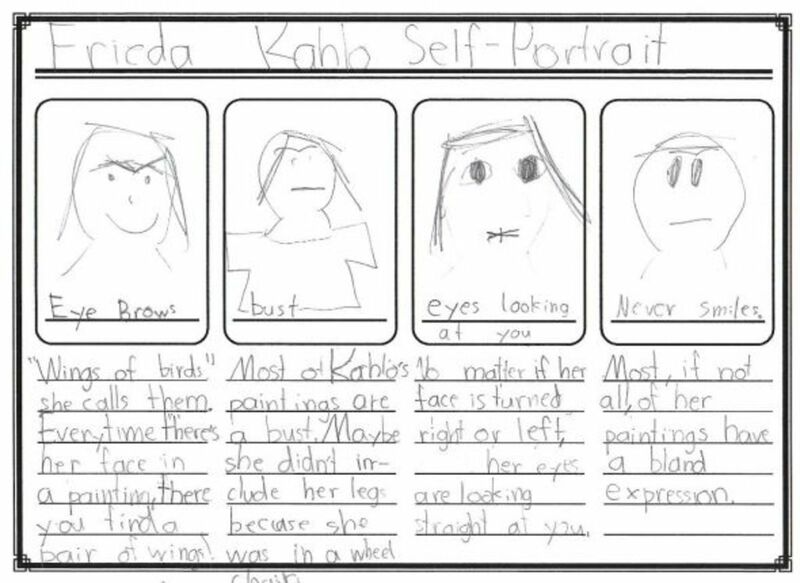 You will be enriched by reading her own words about artist study. For more of Charlotte Mason's works, visit CM Basics. Scroll down to pages 307-315 to the section titled Pictorial Art for her clear, detailed directions of how to conduct an art study. This entire section is concerned with the study of art. 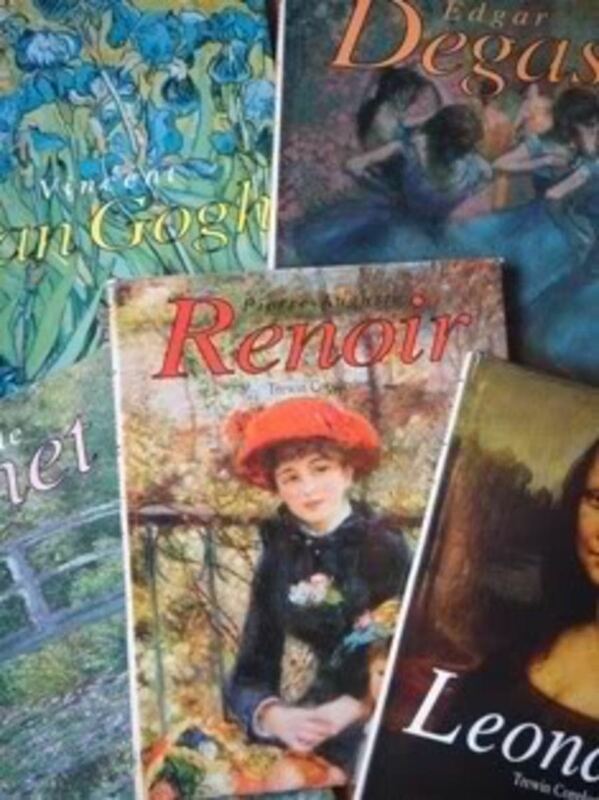 For that term we were studying Renoir. We had already studied approximately 30 of his paintings, one each day. Each day my method is the same. I hand the art print to my daughter and let her study it for 1-2 minutes, until she feels confident that she knows it well enough to narrate it back to me. Then I take the picture from her and listen as she describes everything she saw. What if during the narration, she describes something incorrectly? For example, she says there are two people in the background but, in fact, there are five people? After she is done with her narration, I would say, "You said there were two people in the background, but take another look at the painting and make sure." Then I would hand her the print and allow her to look more closely and amend her narration. Don't interrupt the narration if at all possible. Wait until the end to allow your child to make corrections. If she doesn't mention more subjective things, I may ask her. 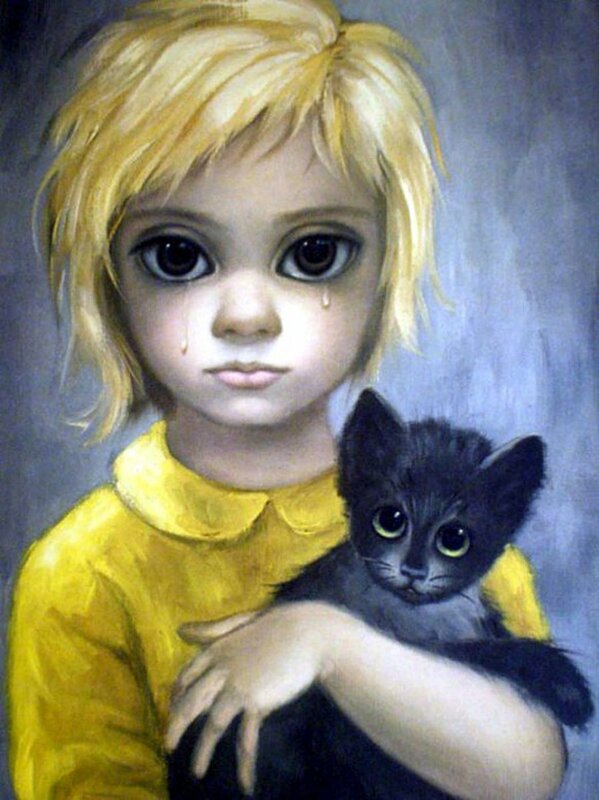 For example, "What is the mood of this painting? Would you like to be in the scene painted? If you were there, what would you hear, smell, or feel?" I often use the questions listed here; in fact, I keep this laminated page with my weekly homeschool schedule. Asking one or two different questions each day gives our artist study more variety and often opens the door to some great mother-daughter discussions. 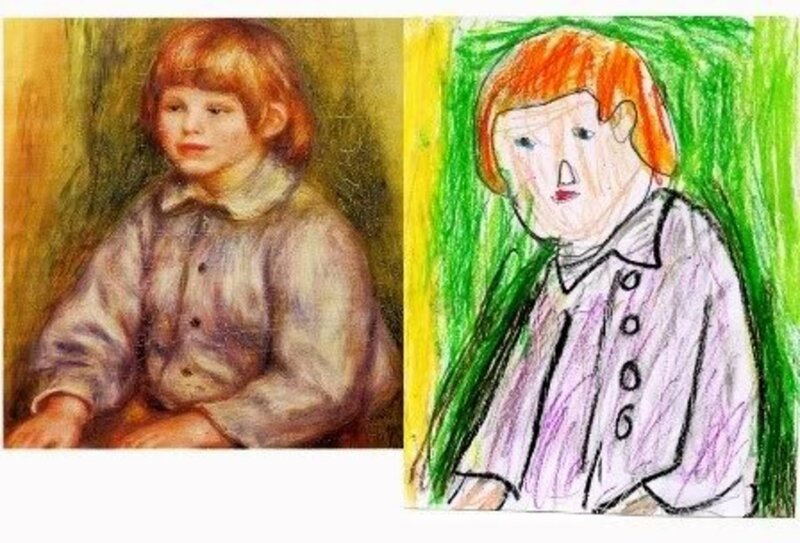 Then we came to two portraits of Renoir's son: Portrait of Claude (Coco) Renoir, below on the left, and The Clown, farther down. 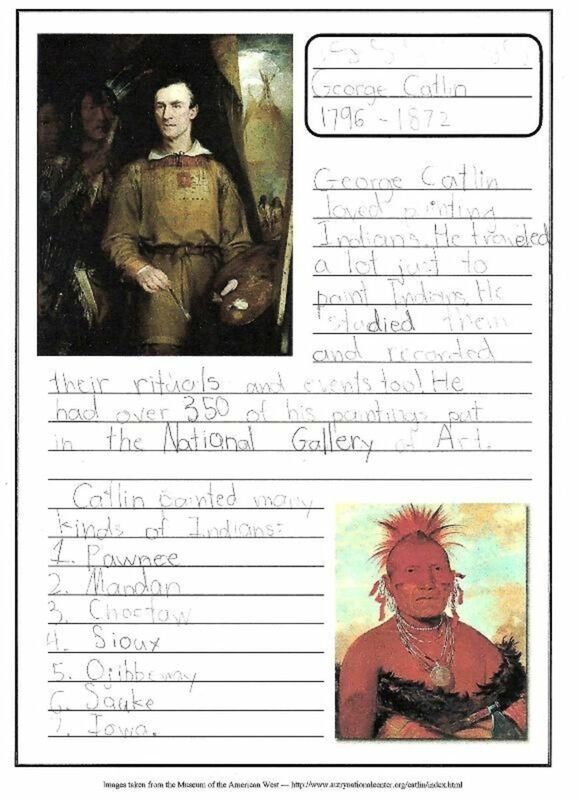 I realized that the notes in the art book had some interesting facts that my daughter would be able to relate to and that would help her understand the painting. I only occasionally share the book's notes since I'd rather her do the thinking herself. But these notes about The Clown would help her more knowledgably contrast the two paintings. I didn't read them, I simply paraphrased it in conversational language: Renoir's regular model had not come to sit for that day's painting. 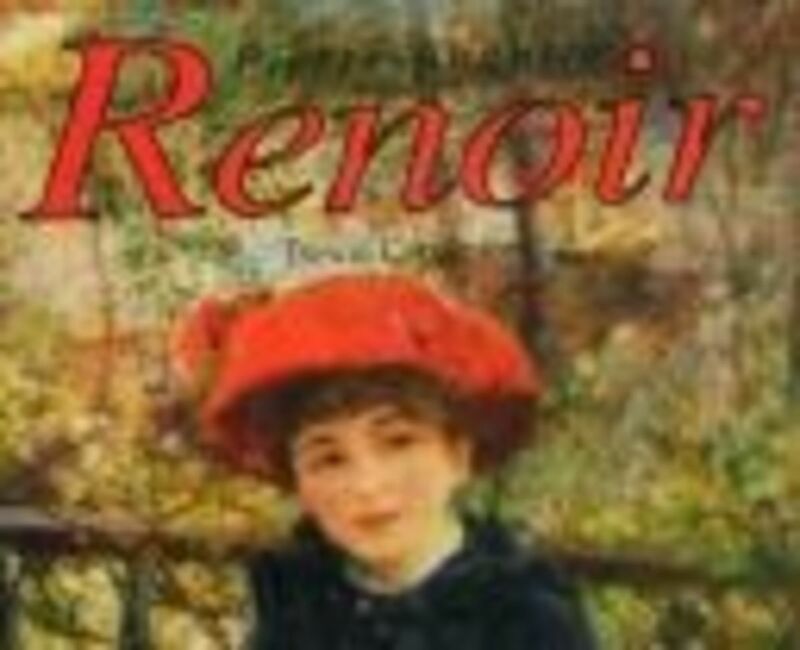 So Renoir's son had to act as a stand-in. The boy complained about the itchy stockings and being forced to stand still. 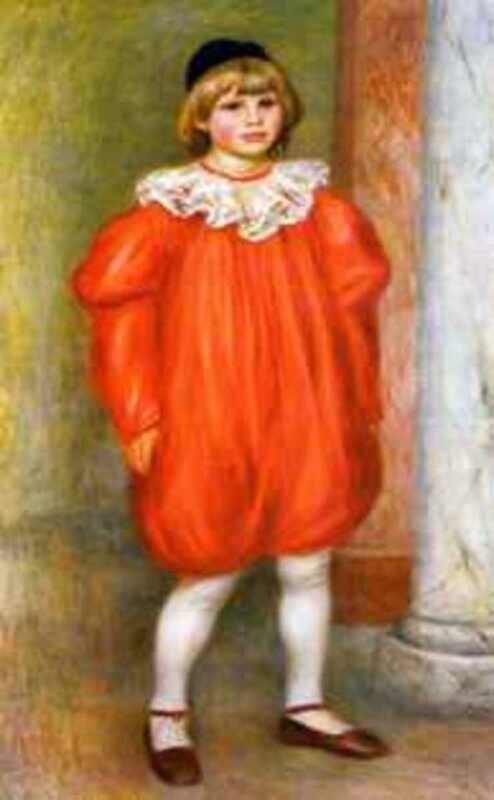 Renoir both threatened and bribed the boy to get him to pose for the painting. After our regular study of each painting, complete with narration, I had my daughter contrast the two pieces. 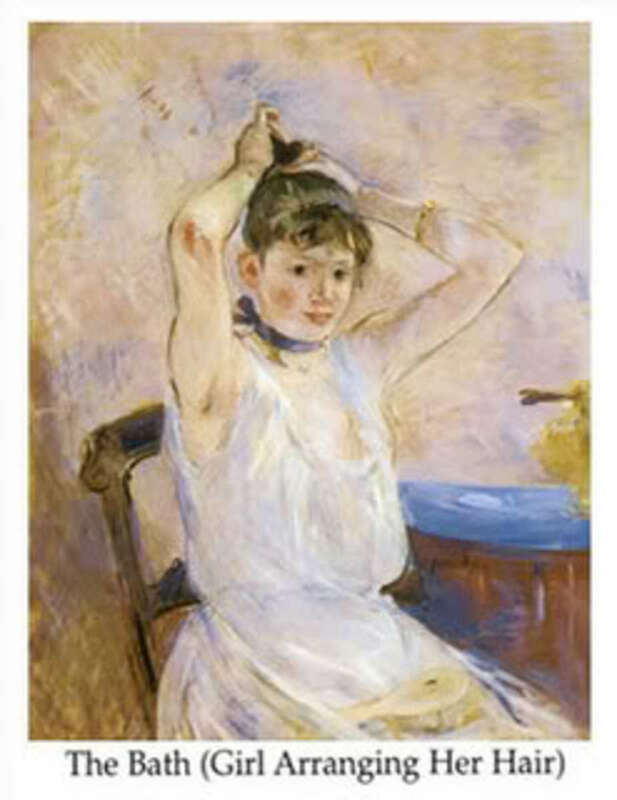 She mentioned things such as the pose, the background, the child being older in one, the child's mood, the colors and condition of the painting. 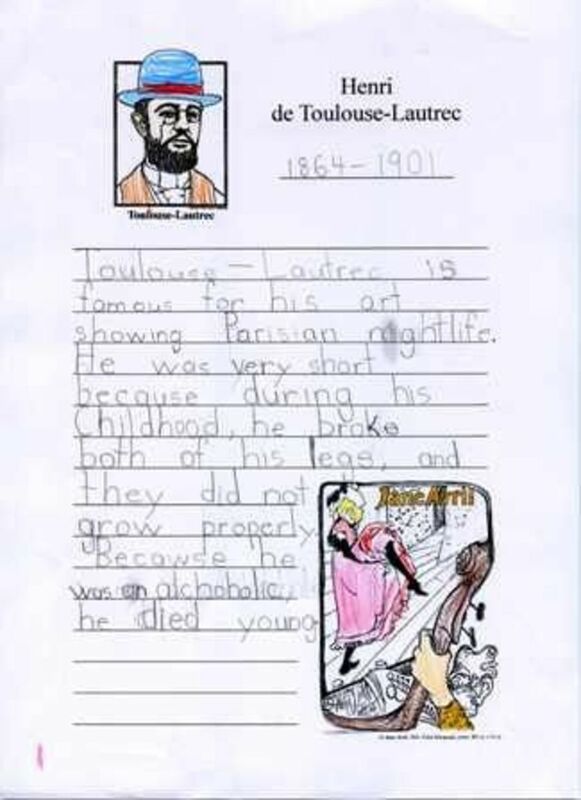 Then I gave her a blank piece of paper cut to the proportions of Portrait of Claude (Coco) Renoir and asked her to draw and then color a copy of the painting as closely as she could. You can see her result beside the original. Then we displayed her artwork in a blank frame hanging on the wall of the homeschool room and moved on to science. Later that piece went into our art notebook. After studying four or five more paintings by Renoir, we were finished with our book of art prints and moved on to another artist. Note that we do not duplicate every painting we study. So far, I've chosen to do this with only one of each artist's paintings. In this way, art study is very quick each day, and only occasionally does it take longer. 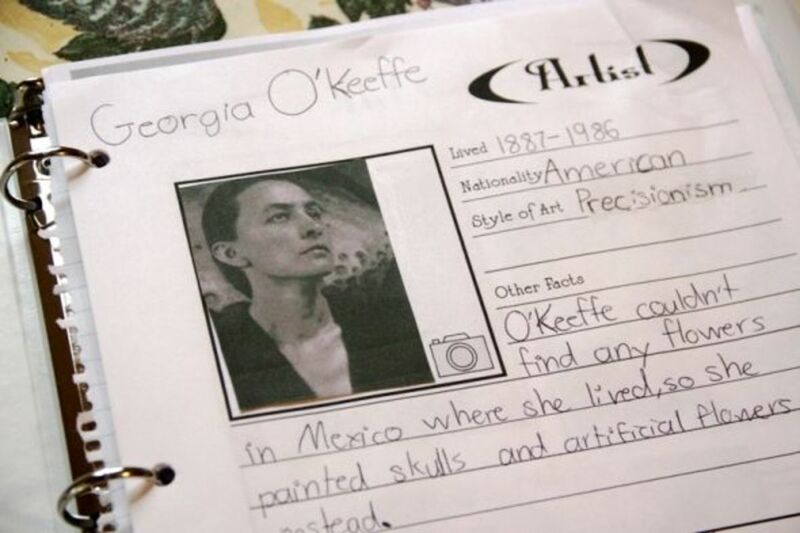 Lots of families use free images from the Internet for their artist studies. Two good sites for this are Art cyclopedia and WebMuseum. Personally I don't like to rely on the Internet for our artwork. I much prefer to have a physical book to sit with and pore over versus staring at a computer screen. And if you are printing pictures from the Web, I really doubt the ink costs are cheaper than just buying a nice, used book with full-sized art prints. When buying books for artist study, your main concern is how much of the book is just art. You want full page reproductions of the art, not tiny images and a lot of text. 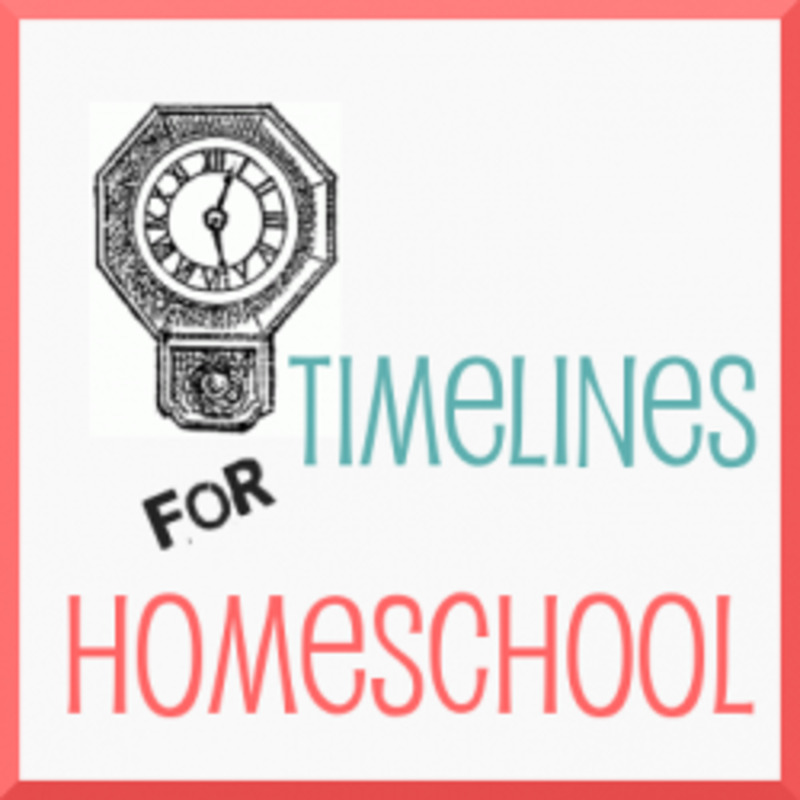 If you have little ones joining in the homeschool experience, you may want to offer them a coloring sheet version of the painting. Taschen publishes art books that are full of full color images, perfect for artist study. Their portfolio sets have 12 -14 prints also very suitable for covering one artist per term. The Taschen Basic Art series is a favorite of mine. Each volume is about $10 and is jam packed with full-color art by the particular artist. They serve as excellent spines for a Charlotte Mason artist study. 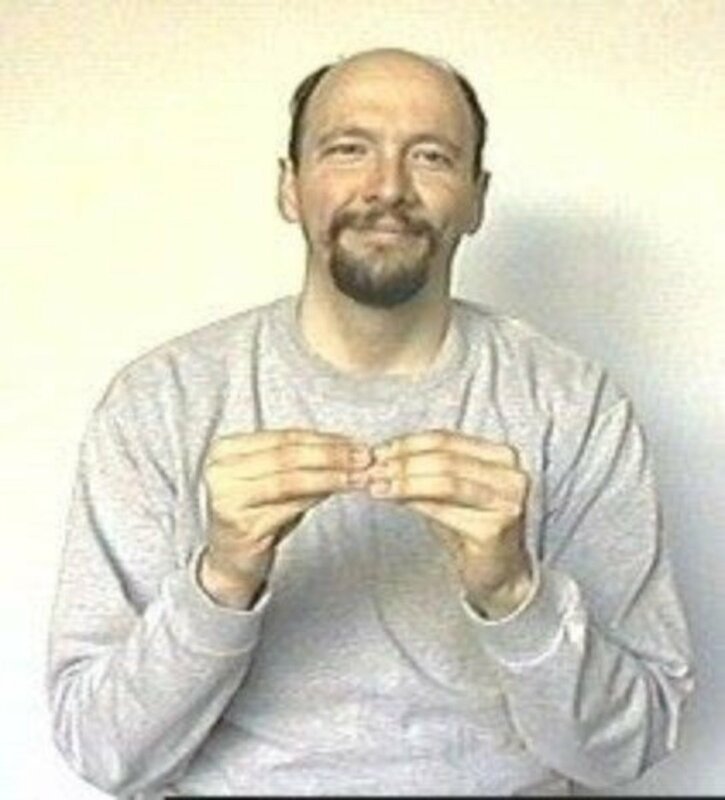 These links are mainly for you, mom or dad, to prepare for your artist study and picture talks. This is a great reference tool! You certainly want to say those names correctly! This little animated show will introduce you to several art concepts -- pattern, balance, etc. 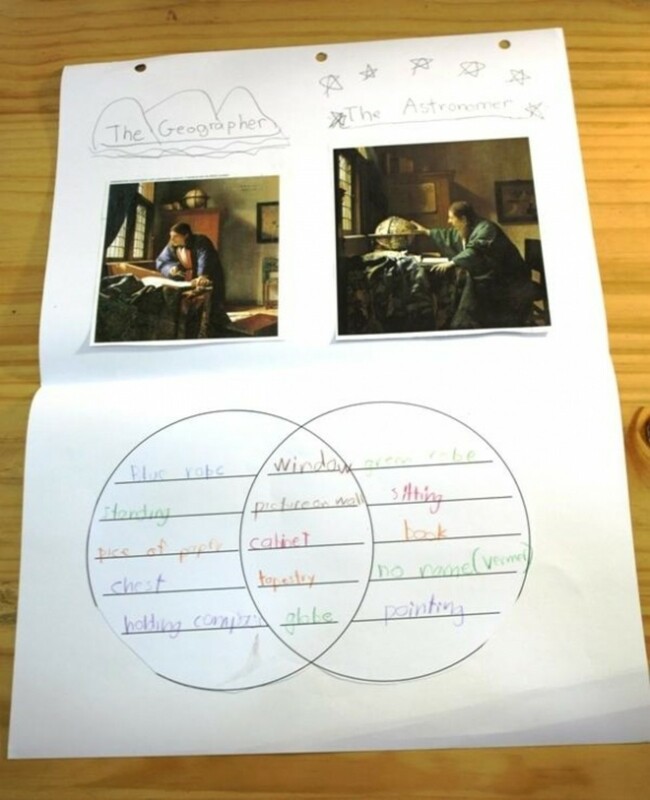 It's an engaging way to open the discussion of these concepts with your child. Bruce Van Patter offers some great topics to get a discussion about a painting started. Be sure to click through to the second page where he talks about bringing the story out of a painting. 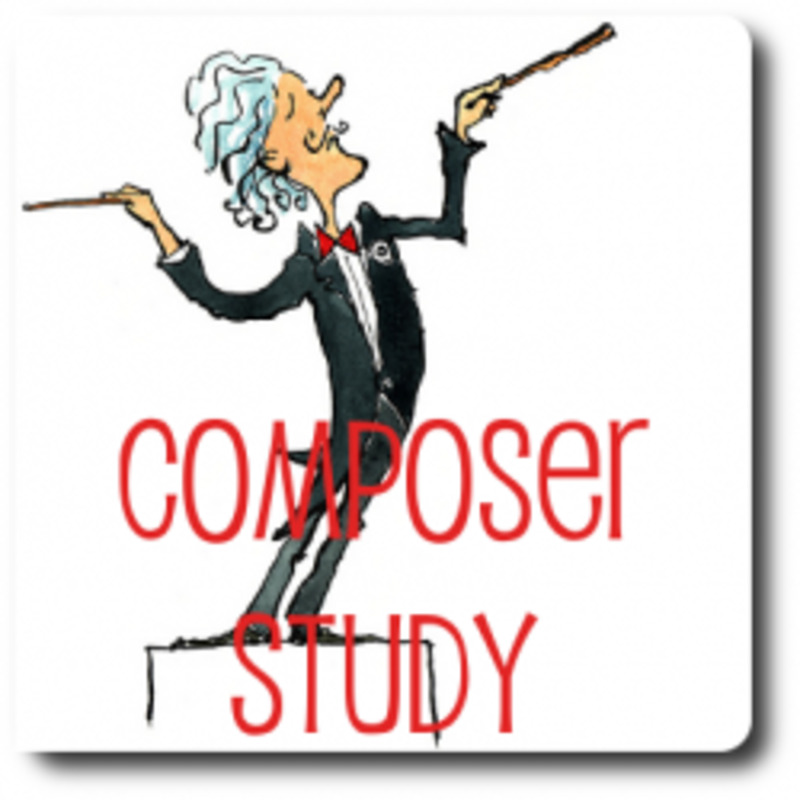 Purposes and Attitudes for Artist Study - Why are we doing this? According to CM, there are two reasons to study artists. 1. To cultivate a love of beauty. 2. To hone the ability to see. 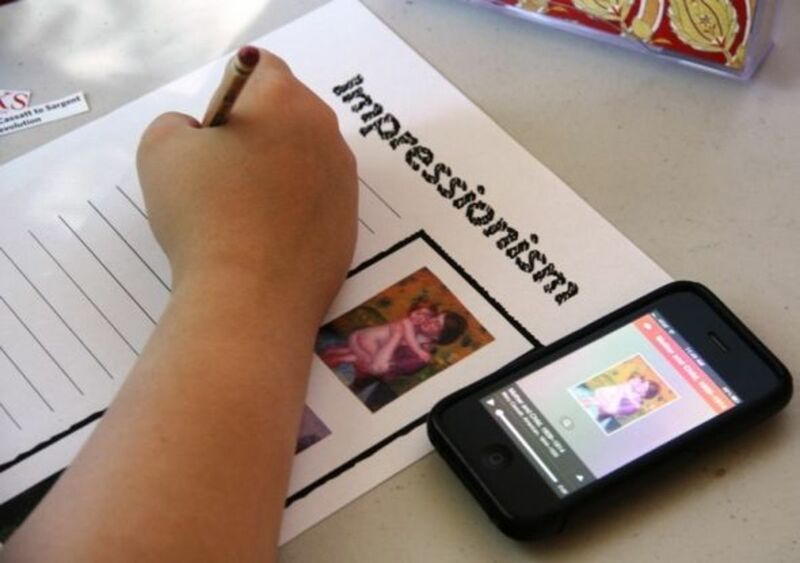 So those are our purposes: We encourage children to interact with art by giving them opportunities to do so. And we train their seeing by asking them to narrate back the artwork during the picture talks. urged when they are a source of pleasure, not otherwise. 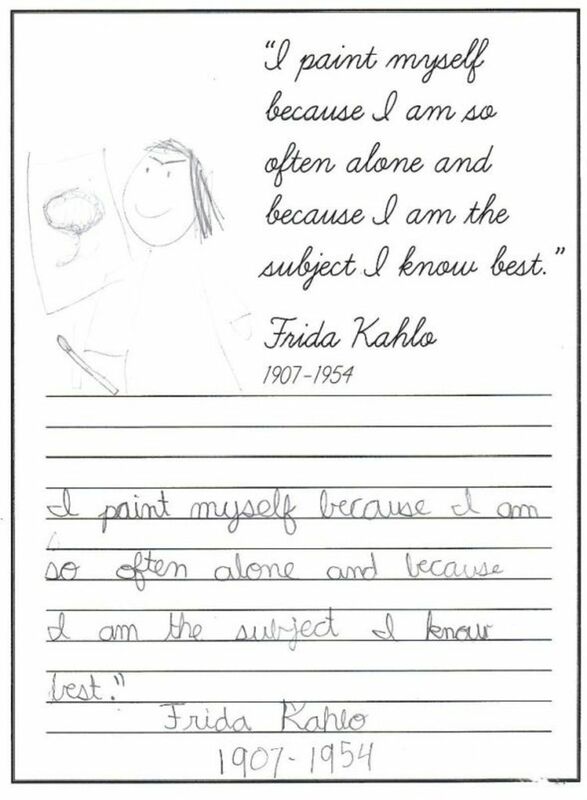 I do not wish to infer that the whole of a child's course of study must be a 'primrose path,' far from it, but the essence of Art is enjoyment. . . If art is beauty, then that beauty should be enjoyable. 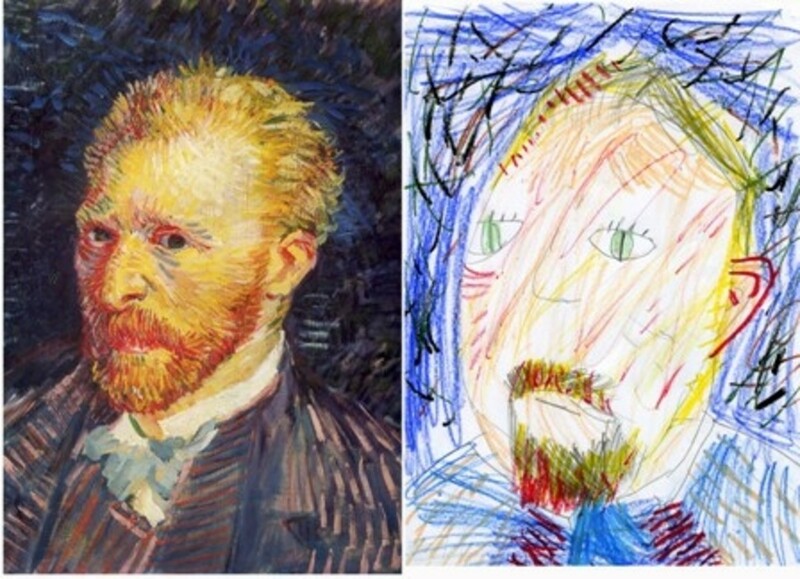 So make modifications to your artist study to make it fit your particular child. Make it fun; make it a joy. 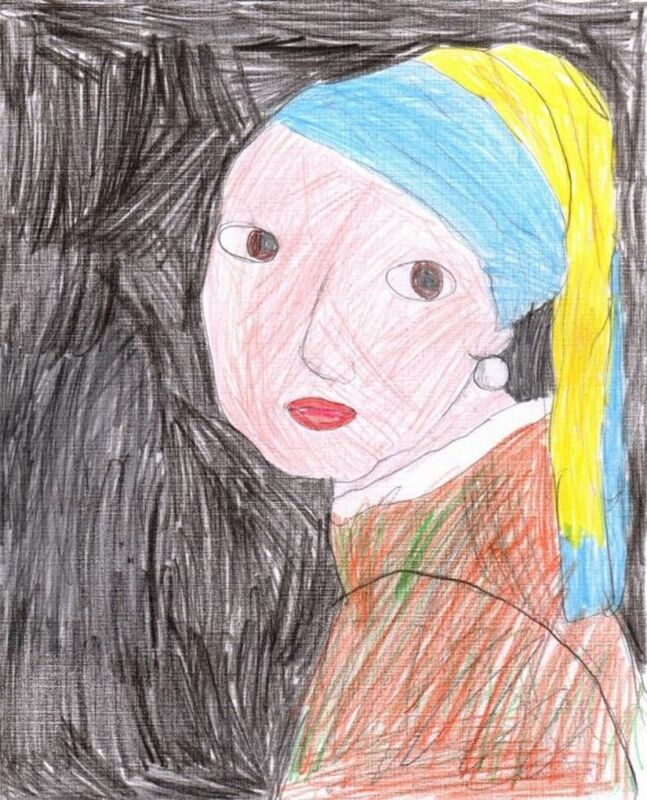 For some children, that will mean adding field trips to experience art. 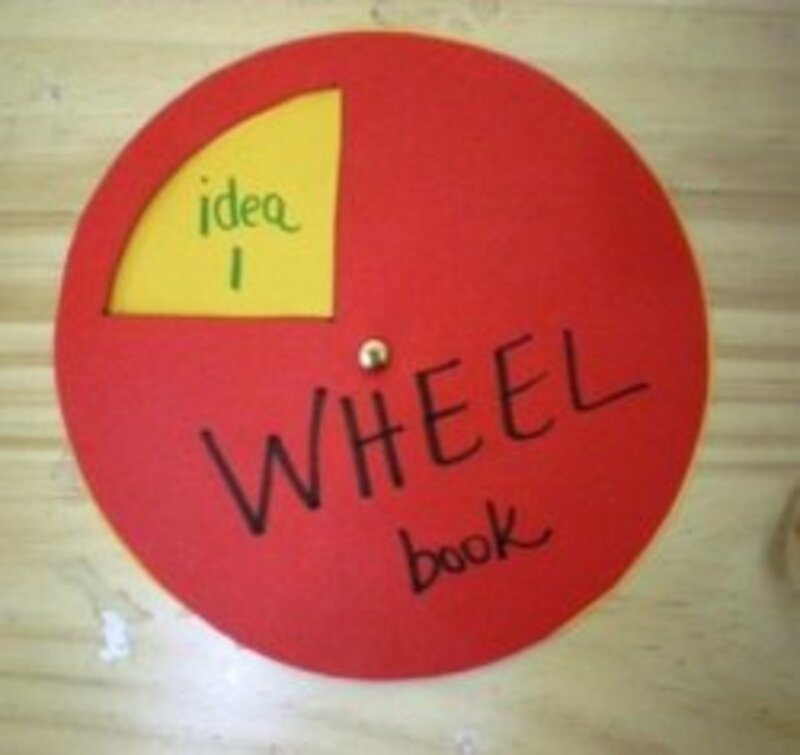 For others, you will need to add hands-on art activities (see book recommendations below). 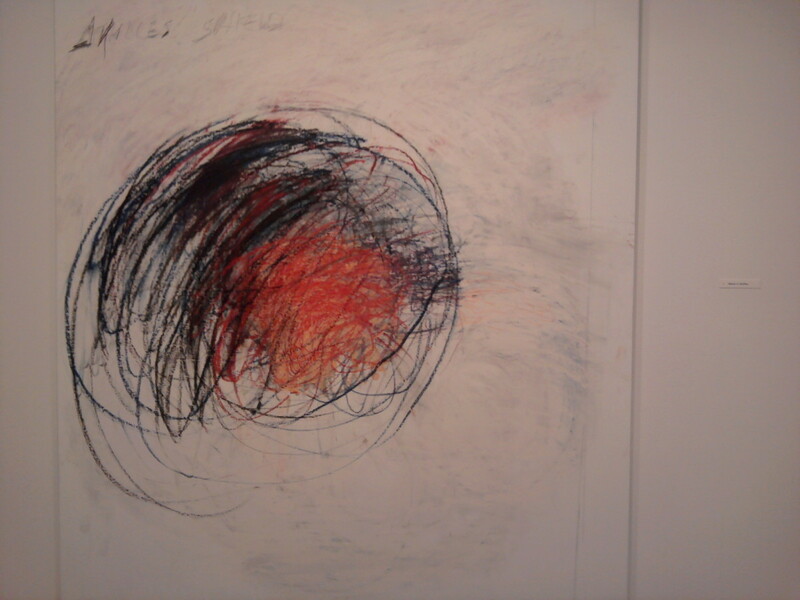 Some children would be excited by exploring an art site on the Internet (see links below). What do your children think is fun? 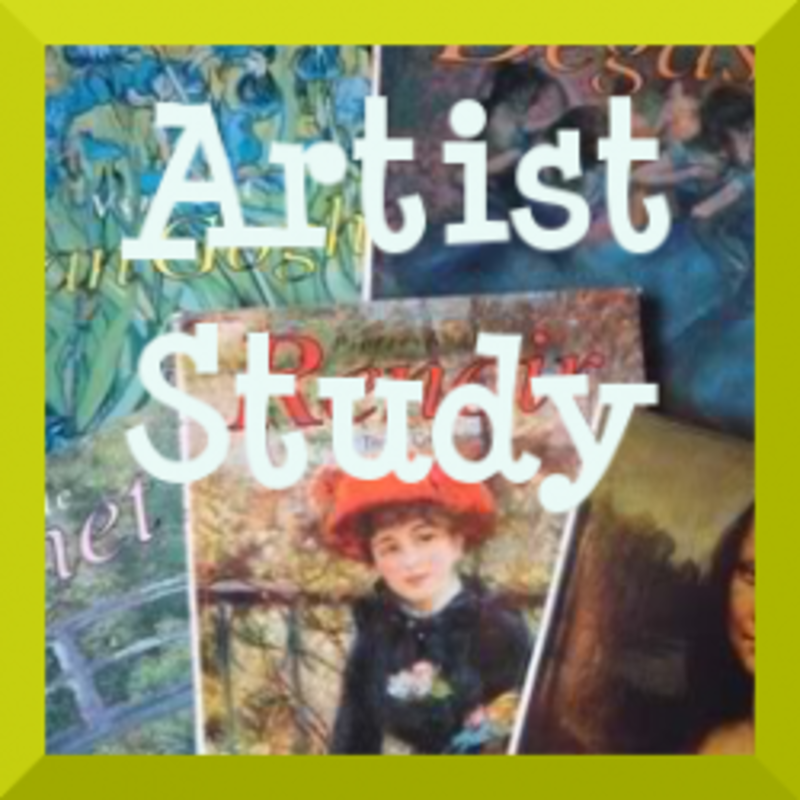 Your artist study is not limited to online pictures and art books. Once you are looking for it, you will find art all around you. Of course, you can visit art galleries and museums, but don't forget less obvious places such as libraries, town halls, and government offices. They often have sculpture and paintings decorating the facilities. College campuses often have exhibitions of student work. 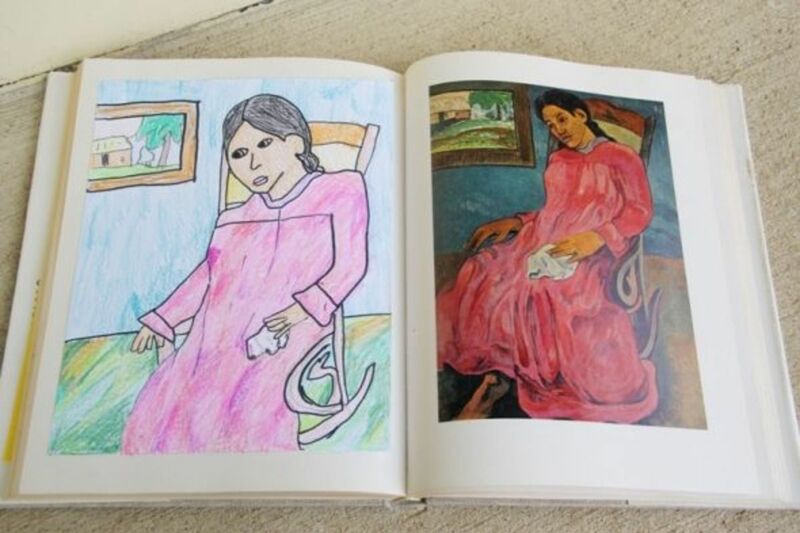 Although some of it may not be appropriate, there is a possibility that your children would have a great opportunity to study art and even meet a young artist. Be on the look out for art. And when you see it, stop and enjoy it for a moment. Soon you will find that it's very easy to add art appreciation into your day. Another option for daily art study is a page a day calendar. This calendar is a tad oversized, and the images will be perfect for art notebooks. These artists were ones that Charlotte Mason specifically suggested. But you certainly don't have to limit yourself to that short list. So far, I've explained the basics of a Charlotte Mason artist study. You have the art, and you have what she called picture talks. (I call that art narration.) That in essence is what a CM artist study is. 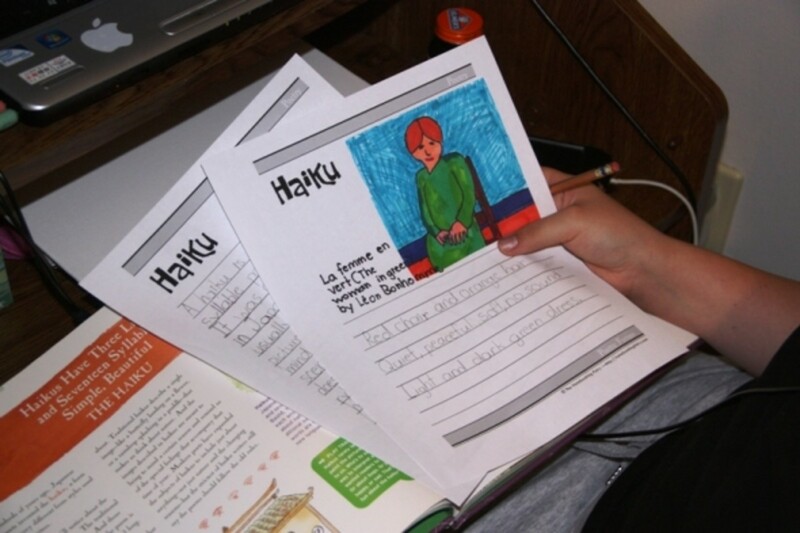 Some parents like to make notebooks of the art they study. 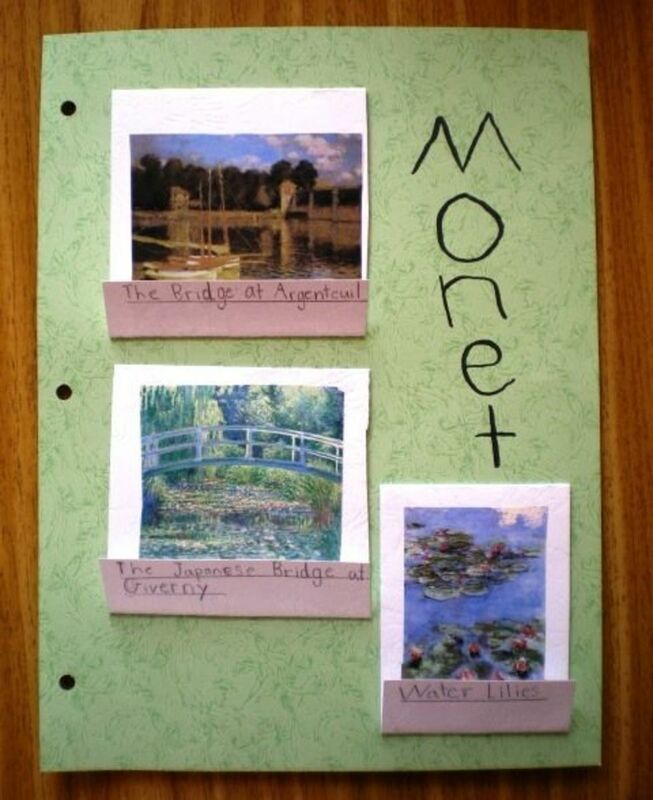 They use single page prints of the paintings to create their own art resource. These prints may be purchased online, bought cheaply in the framed art section of a chain store, taken from calendars and postcards, or printed from the Internet. 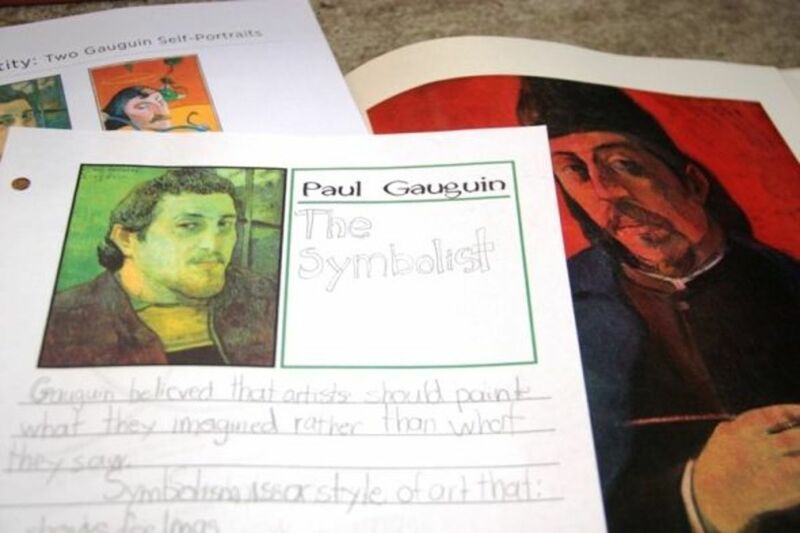 By letting your child take ownership of this notebook, decorating it, organizing it, making notes, and even selecting the pieces of art, his motivation to study art will increase. 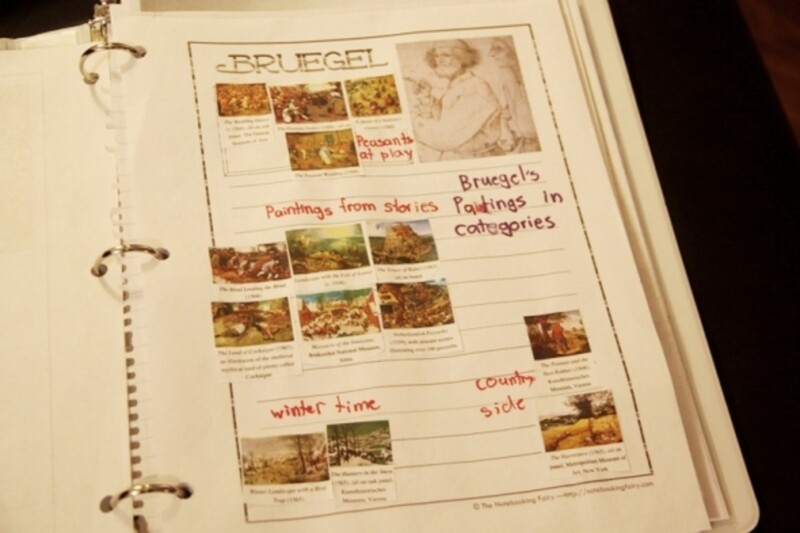 You may also want to include in the art notebook your child's renderings of the art you study. Whether you use black and white coloring book style pages for the child to color or whether you let her draw her own version, those would make nice additions to the art notebook. If you use notebooking pages for your studies, those can be added as well. Look below for printable artist pages. Below are some selections from my daughter's art notebook. You can see it's quite a mix of her work dealing with the various artists we've studied over several years. 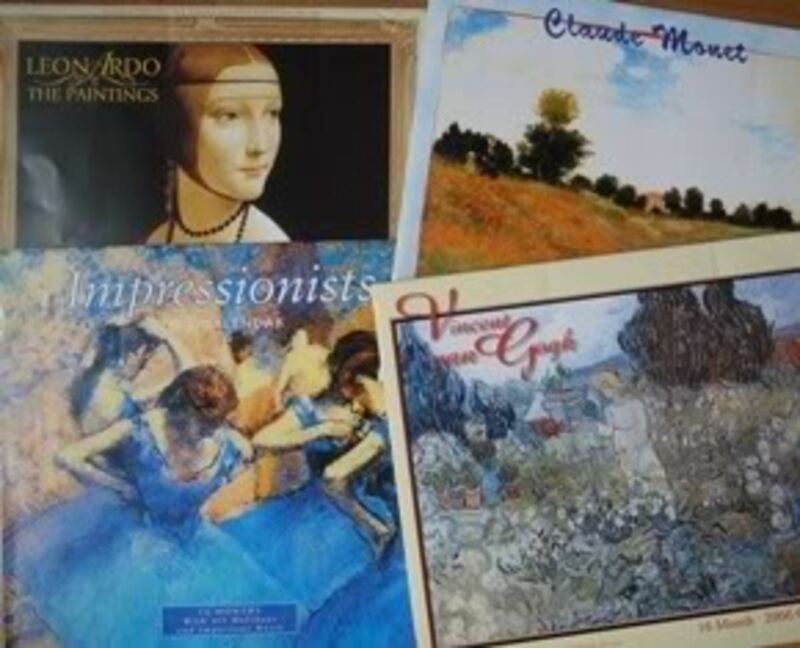 When you study each artist, you will want your intermediate level child to know the general time frame of his career and what artistic movement he is part of. I suggest an artist timeline. Keep a record of each artist and arrange it in chronological order. Label each artist's school of thought. Or if you already keep a timeline for history, simply add in the artists to that timeline. 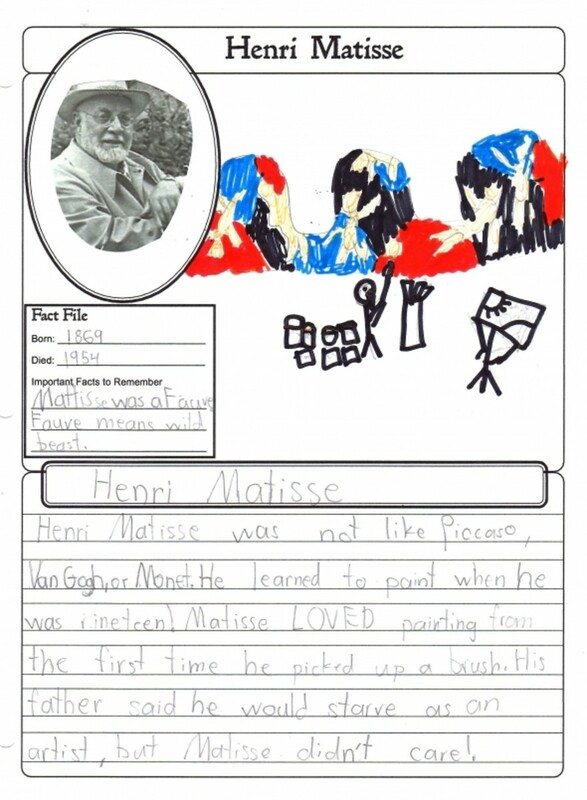 Give your children the perspective of when each artist lived and worked. I'm crazy about living books, and obviously Charlotte Mason was too. That's why I think she would approve of offering these great books as a supplement to picture talks. They are not artist study, per se in that they are not merely looking at art. 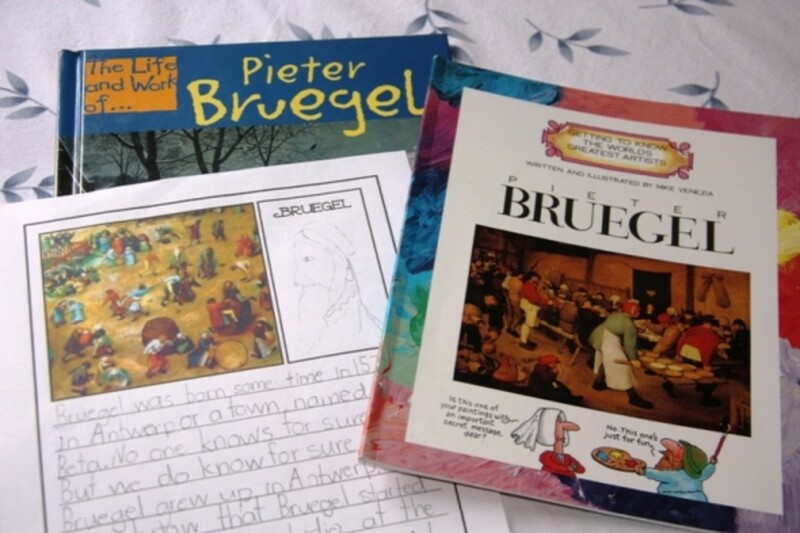 However, these living books about art and artists can add another facet to your studies. Another advantage is how these books often tie into history, science, and other disciplines. 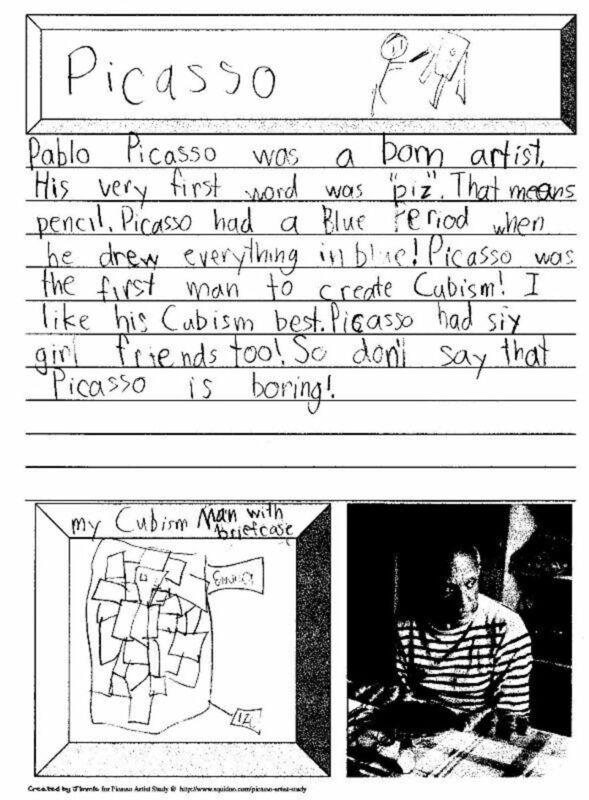 Here is one example of a very worthy living book about an artist. Browse Amazon for more options.